Rootin' Tootin' Shootin'! 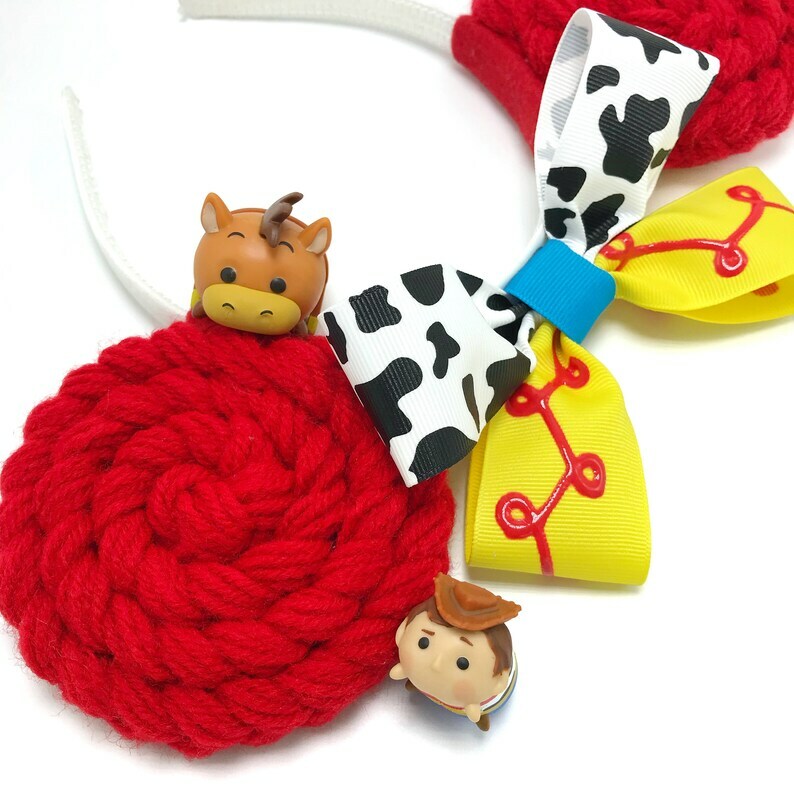 These Jessie Toy Story Ears will have you yodeling in no time! Constructed with signature red yarn braids and topped with a custom cow print/Jessie hand-embellished bow. 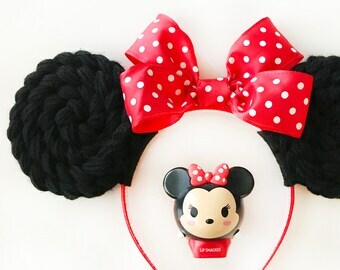 These Ears have a plain red back that is perfect for your favorite toys to autograph them! Each pair of Ears is made with lots of love, care and magic! These Ears are unlike anything else out there! Standard headband fits children and adults. I absolutely love my ring! I asked for it without the bow for a Mickey ring and Sarah was happy to oblige! I’ll definitely be getting more!